Lightwaveseeker: Are Those Opposing Us Corrupt, Vicious, even Vile? Are Those Opposing Us Corrupt, Vicious, even Vile? 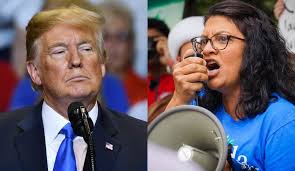 Intensely Popular at present in American politics (as unwell as elsewhere) is the demeaning and name-calling of individuals on the other side. Each side makes extremely negative statements against the character and worth of persons of the opposition, those blanketyblanks----fill in the blanks from the daily news. And individuals on the other side return the disfavor: Trump is "dumb, "an idiot surrounded by clowns," and so forth. Just read the daily news accounts. Hmm...I doubt that most leaders on either side of the current huge chasm in American politics between Republicans versus Democrats (or Christians versus Atheists, or of whatever other stripes) are themselves bad individuals, nefarious, destructive, etc. Against Trump: "...corrupt politicians deserve no love. They inflict greater harm, death and destruction than any one person calling them a ________[twisted obscenity] will do to them. Civility is for those who live in a fairy tale dream that somehow you can hope the tyrannical evil will suddenly grow some empathy. It won’t work. Call him a _________. He deserves worse but will likely get less. Jesus can love him all he wants. The rest of us can energize righteous anger and use it to oust him and any other mad tyrants who think they can trample on the constitution and the people it’s written to protect." "You don't hand matches to an arsonist, and you don't give power to an angry left-wing mob. Democrats have become too EXTREME and TOO DANGEROUS to govern," Trump tweeted, "Republicans believe in the rule of law - not the rule of the mob. VOTE REPUBLICAN!" BUT, what we need to do instead is condemn actions, NOT attack the worth or intent of humans in opposition to what we think is true, good, and right. Most humans of the historic past--creedal Christians including the ones who slaughtered millions in the Great War (First W.I) the U.S. and British Civil Wars, the 30 Years War, French and German Religious Wars, etc., most orthodox Muslim jihadists in the past and now, many doctrinaire communists, most Napoleonic soldiers, etc. weren't corrupt, vicious, or vile. On the contrary, most true believers of whatever religion or ideology tend to be almost exactly like all of us! As I recall that was one of the central points of Eric Hoffer's famous book on the true believer. When I stayed with a Muslim family in Nablus, Palestine, they were very generous, kind, and considerate. YET they all were involved in the intentional slaughter of each other because of their religion. Even some Jewish secularists and Palestinian secularists were in favor of intentionally killing civilians. Most humans aren't vile. It's their dedication to nation and ideology or religion that is. Yes, there are sociopaths. When I worked in a mental hospital, I worked with at least one. 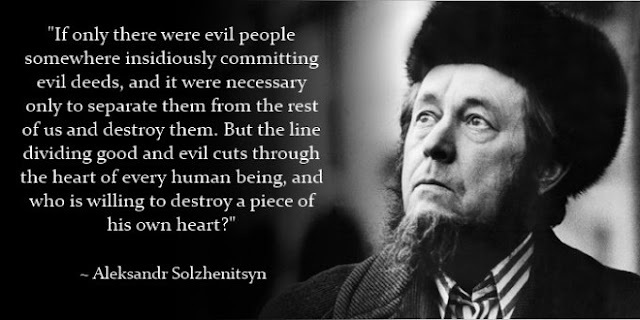 But generally most of the evil in history and now comes about because normal, somewhat civilized, humans go to war for their evil beliefs, and abuse, oppress, and slaughter millions in the process. Look at the horror in Syria, where all sorts of ideologies are battling each other--secular Arabs, orthodox Muslims, Shia, Sunni, Russian, American, Turkish, Kurdish, Iranian, Saudi, Gulf States, Israeli (secular Jews and orthodox Jews), etc. have caused the death of 1/2 million people, the wounding of millions more, and the displacement/refugee status of many millions. As wrong and destructive as Calvinism, Roman Catholicism, Islam, Marxism, Hinduism, Atheism, etc. are I doubt that the actual individuals who grow up in those horrific religions and ideologies are they themselves vile, evil in intent. Many of them really believe they are doing what is good and right. I would have never guessed that he would hurt a mosquito. Vile ideas, not usually vile people. At least that is my experience and my view. 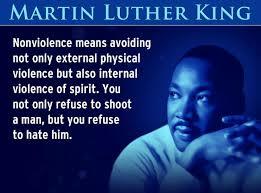 "Nonviolence means avoiding not only external physical violence but also internal violence of spirit. You not only refuse to shoot a man, but you refuse to hate him." Martin Luther King, Jr.
Martin Luther King, Thich Nhat Hanh (the Vietnamese Buddhist nominated for the Nobel Prize), Bayard Rustin, and many other moral leaders point out what leads to harm, division, and destruction among humans is the claim of each side to be the good, dutiful, patriotic, honorable side. But when one side claims to their enemies that they are are the only ones who are tyrannical, corrupt, and they deserve no compassion, no civility, then they have become like those enemies that they condemn. I saw this when I lived in Palestine-Israel (where both sides demean, harm, and attack the others). And one can read of this lack of civility in American history and world history. There are many tragic examples from American and world history where both sides held to be righteous and treated the opposite side as not deserving civility, kindness, hope because they were so bad. However as the Russian great writer wrote, good and evil aren't on opposite sides, but both run through every human heart. It appears that President Donald Trump bullies, constantly lies, intentionally harms millions, defends a murderous regime, the Saudis, etc. But it is probably that Trump honestly thinks he is doing what is best, what is good. At least about 80% of Evangelical Christians think he is God's man for this troubled hour!! Attacking the President personally, calling him bad names, etc. isn't the answer to this time of crisis. Instead, our moral answer needs to be a very detailed documentation of all immoral and unjust actions. We need to work to bring good change based in human rights, not curse others. One of the first rules of debate is that no matter how unfair, unjust, even evil the other side's views are, speakers should never attack the opposing speakers' inherent human worth. To do so is a denial of human rights.